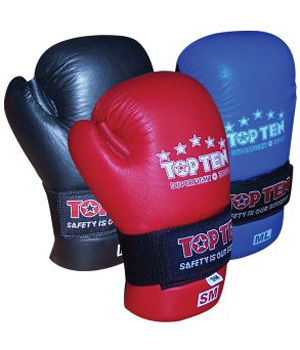 An all leather Open Hand contact glove with special protective “Bayfill” padding. Velcro fastening on wrist strap. Ideal for kickboxing. Colours Available: Blue, Black & Red.